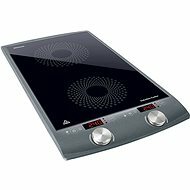 Induction hob ECG IV 29 2in1 can function as a free standing appliance as well as is suitable for installation. It fits into smaller households, cottages or country houses. It represents the way how to quickly and energy-saving cook a different variety of delicious dishes. 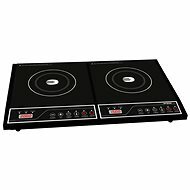 Induction hob is cold to the touch and very easy to maintain. 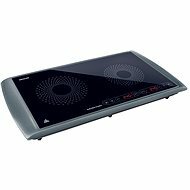 It also contains a number of practical features like an automatic shutdown when disposing of dishes or LED display and function lights. You can do this by using two rotary knobs and a touch control. ECG IV 29 2in1 offers in total 10 selectable heating levels and also allows the temperature to be set and maintained within the range of 60-240°C. The equipment is do not missing a timer 1-180 minutes with the switch off. The appliance operates at a power input of 2900 W.
For shipping to other EU countries visit this page ECG IV 29 2in1. Für Versand nach Deutschland, besuchen Sie bitte ECG-IV 29 2-In-1. Chcete doručit zboží do Česka? Prohlédněte si ECG IV 29 2in1. Chcete doručiť tovar na Slovensko? Prezrite si ECG IV 29 2 in 1. Für Versand nach Österreich, besuchen Sie bitte ECG-IV 29 2-In-1. Magyarországra történő kiszállításért tekintse meg ezt a termékoldalt: ECG IV 29 2in1.